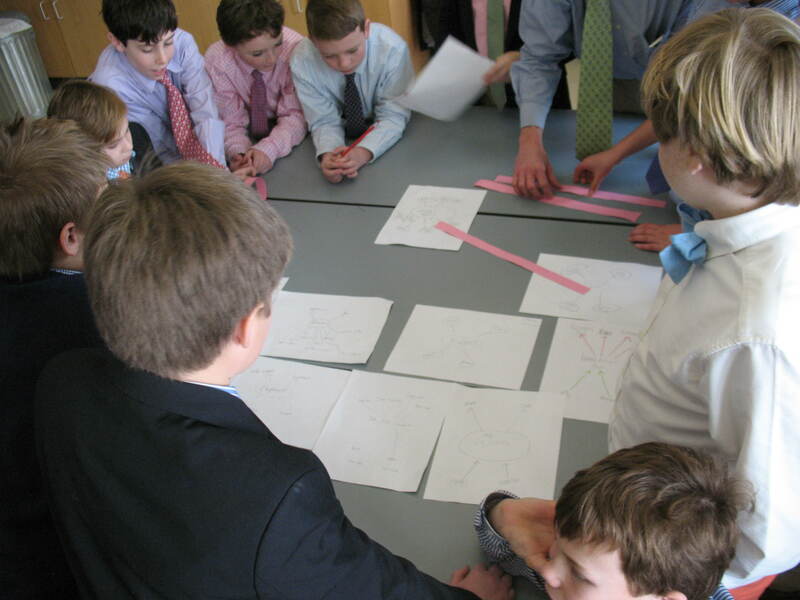 Fifth grade Science students tackled a food web activity today that was multi-layered. 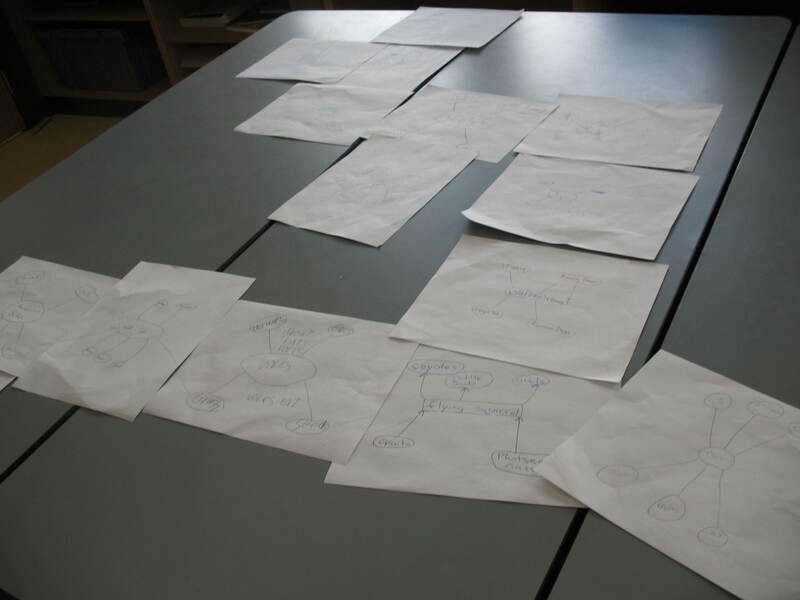 It was designed to first check student understanding of food webs and the concept of interconnectedness, which students explored at home as part of their flipped classroom, foster collaboration and communication among students, and create an environment of interconnectedness on a small scale that represents the larger web being discussed in class. After watching a brief clip from School of Rock for inspiration, in which Jack Black teaches his students about the genres of rock and roll using a elaborate web he’d drawn on the chalkboard, each boy spent 15 minutes researching an animal of his choice, specifically its place in its food chain. Boys had to determine and diagram two items this animal eats and two animals that eat it. Then the boys congregated at the back of the classroom to attempt to piece together their mini-webs into a larger web. It was most interesting to observe how the boys collaborated and communicated in this setting. 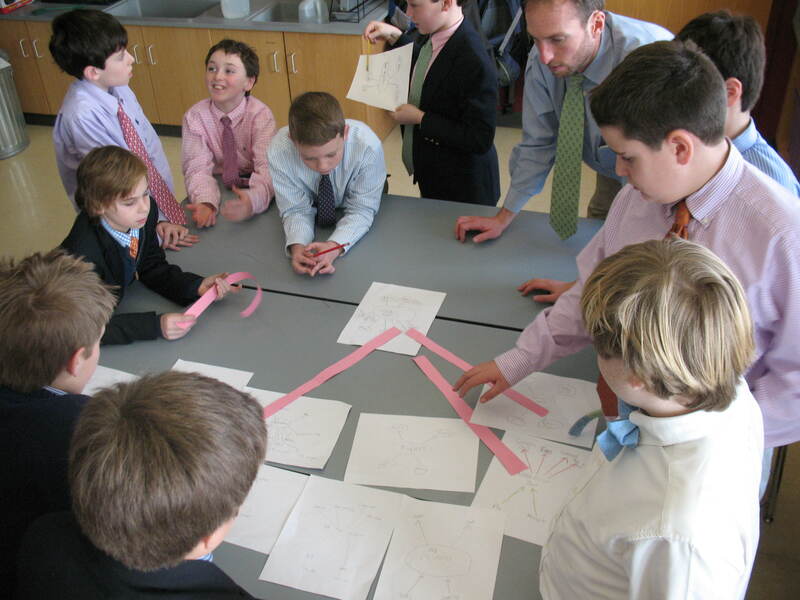 During the 10 minute large group work, Mr. Banister facilitated the discussion, assessed the boys’ science understanding, and used several teachable moments to share his observations on the quality of communication and collaboration occurring. 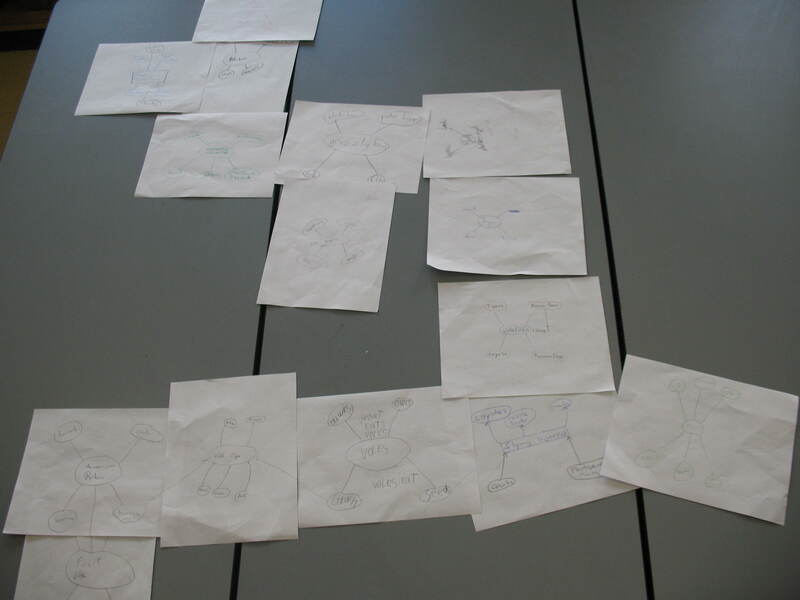 These videos and photos capture the conversations and results in two classes. Video | This entry was posted in Flipping the Classroom, Teaching and tagged 5th grade science, birds, collaboration, communication, creativity, metacognition, student-centered. Bookmark the permalink.